I am always amazed that when you put something out there in the universe, you see it come back to you in so many different ways. As I have begun my happiness challenge, the idea of happiness seems to be everywhere. 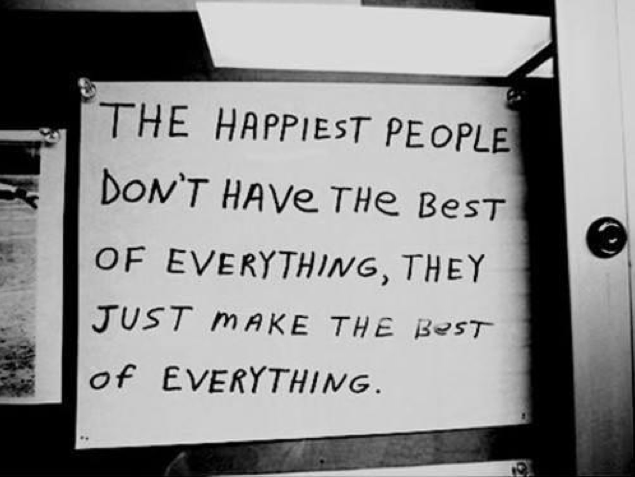 My friend shared this great blog the other day that sure enough is all about happiness. It's a great blog, where the author pretty much shares that happiness is not her goal for her children. She goes on to say that she hopes they find their purpose. When she became a mom, she found her purpose which in turn has made her happy. Hmmm... I hope you read it (after mine of course), its a great blog - http://www.huffingtonpost.com/devon-corneal/pursuit-of-happiness_b_2805982.html. It's not that I don't agree with her, but I think it's more a difference of definition. The first definition I found of "happy" was "Feeling or showing pleasure or contentment." This is probably the definition that most people think of when they talk about being happy. It is impossible to be happy (as defined here) all the time. I know that, most people know that. Some days are good days, some days aren't. Sometimes it's minute to minute. But the second definition I found, "Having a sense of confidence in or satisfaction with (a person, arrangement, or situation)"is much more on target for me. When I end the sentence with "myself or my life as a whole," I think that happiness is a perfect goal. I was so very lucky to grow up with two very loving parents. And I would definitely say that my childhood was happy. Was is carefree? No. Was it conflict free? Nope. Did I get everything I wanted? Not even close. There were times when my parents fought, times when money was tight and my friends could afford things we couldn't and times of self-doubt. But I was raised to be strong and true to myself and I know that this is why I have been lucky enough to be happy in my life no matter what unexpected things are thrown at me. The truth is that life will not always be easy. In fact, the good things are usually a lot of hard work. I wasn't always happy putting in the hard work I needed to do to achieve my goals, but I was overjoyed when it finally paid off. I also truly believe that while we can't always choose what happens to us in life, we can choose how we are going to react. We can make lemonade or we can pout in a corner. Happiness is a journey, it is a state of mind and it is a choice. So do I want my kids to be happy? You bet. I want them to believe that with hard work they can achieve anything. I want them to have faith in themselves and know how wonderful they are. I want them to see that even in the hardest of times, you can find happiness if you look hard enough.